Witches, zombies, Captain Hook, Frankenstein, or the good old Baba Yaga will delight guests on any celebration, whether it's Halloween or a Christmas party of some kind. But to create such an image through just your outfit is not enough. It requires theater (role) makeup as well. It is distinguished by peculiar expressions, brightness, and the use of special makeup. However, you can apply the usual decorative means. Only in this case you will have to demonstrate a little more imagination and fantasy. For example, apply glitter, polish, and gray or blue eyeshadows instead of powder. 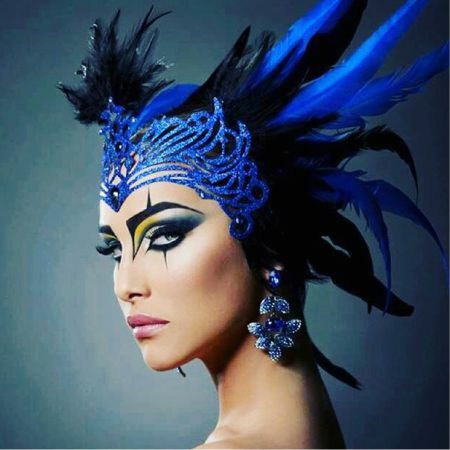 Eyeliner can be drawn on the skin to make all kinds of patterns, and glue for false eyelashes can help with placing decorative rhinestones and feathers anywhere. A very useful thing is white powder. In theater makeup, nothing is superfluous. The fact is that over a white background any role makeup style looks spectacular. So if you actively go to theme parties, a white powder is a must-have. Theater makeup is very oily and has a dense texture, and to rinse it off is quite difficult. If you do not know how to work with this kind of makeup, you can try to learn some aspects of the profession on your own. The reward will be plenty of positive emotions, rave reviews by spectators, and lots of stunning photos! 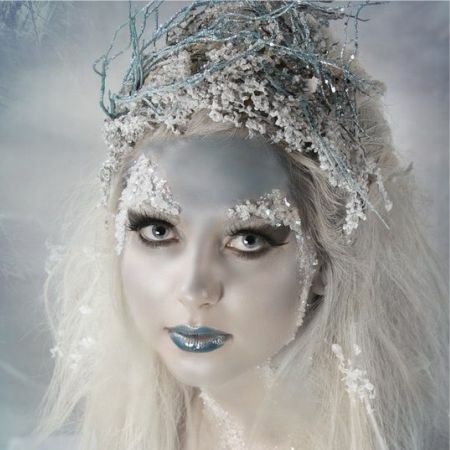 Theater makeup can completely transform your appearance and make you the star of any party. In our time there is a huge number of different means available on the market to achieve unusual and even shocking results. Need a toothless mouth or wrinkled skin for Halloween? Theater makeup will allow you to achieve this without any problems and will. Like the article «Theater (Role) Makeup»? Share it with friends!